About five years ago, I was driving south into Pennsylvania on Route 219. 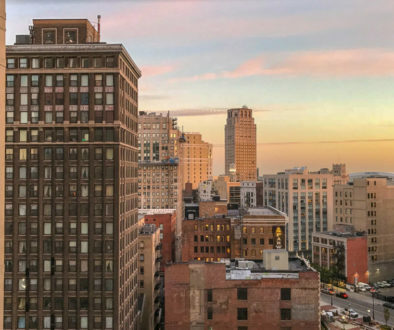 Just a few minutes south of the New York State border, I encountered the city of Bradford. 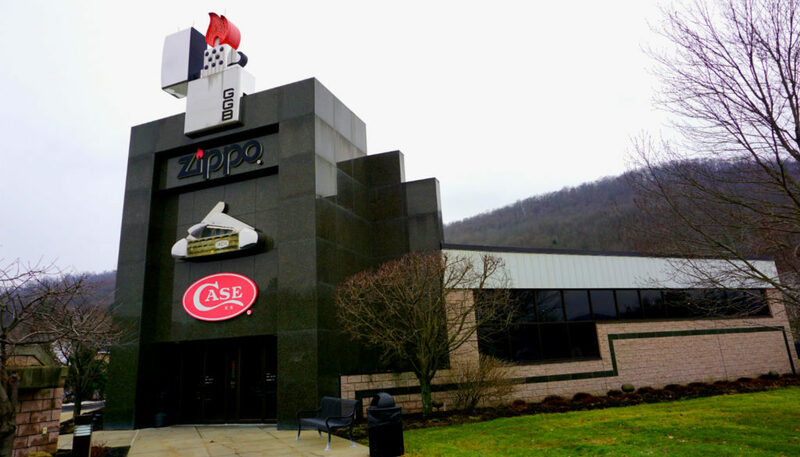 From the highway, it was easy to spot the towering icon of a Zippo lighter, but I didn’t know at the time it was the home of the Zippo Museum. 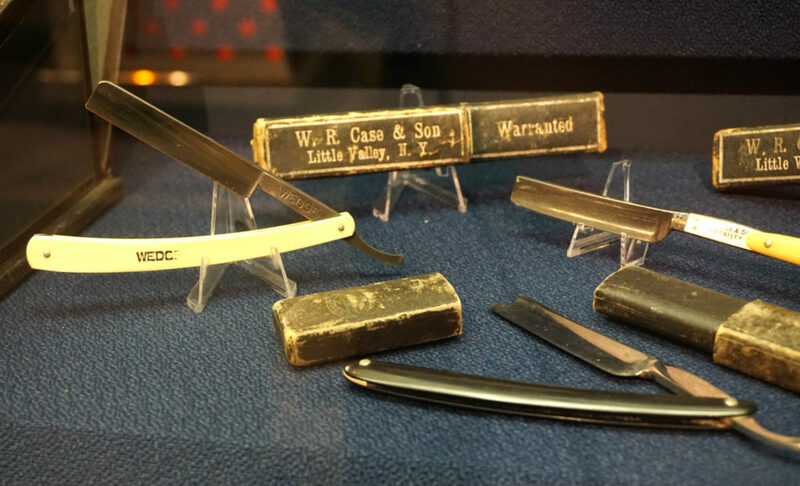 I vowed that I’d make it back to Bradford someday and explore the museum, which also features the history of Case knives. 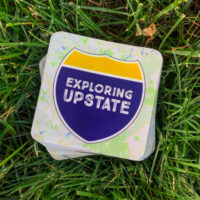 You might be thinking, “Hey man, this is a blog about you exploring Upstate New York, and this place is clearly not in New York.” And, you’d be right. 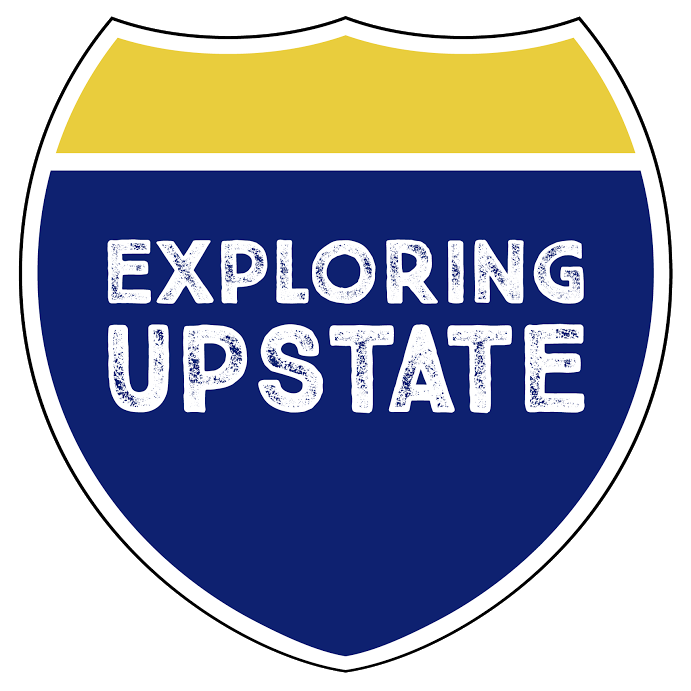 But, Bradford is an easy day trip for those of us in Western New York, and Case knives have a long history that begins with, you guessed it, Upstate New York! Even for non-smokers, the iconic Zippo lighter is a perfect symbol of American culture. George Blaisdell of Bradford, Pennsylvania filed his first patent in 1936, but a few years later the lighter’s immediately recognizable click was already ensconced in our everyday lives. And, it all started right here. 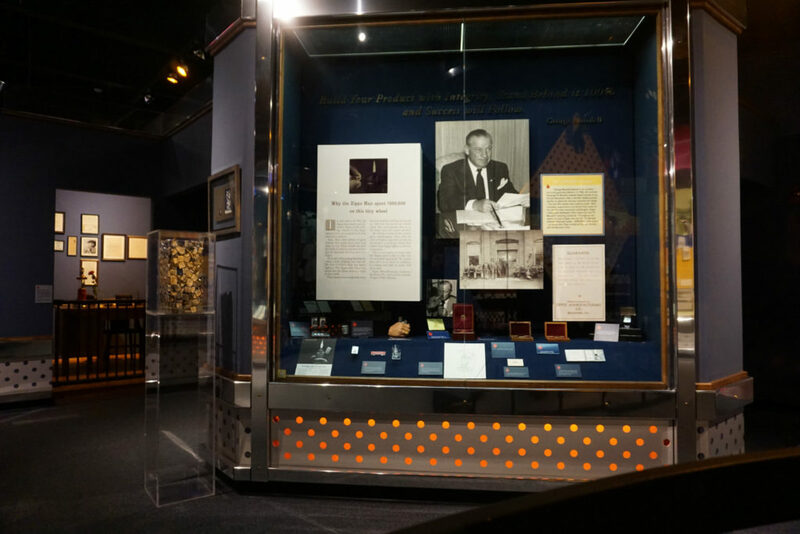 The free museum features interactive exhibits following the company’s history. 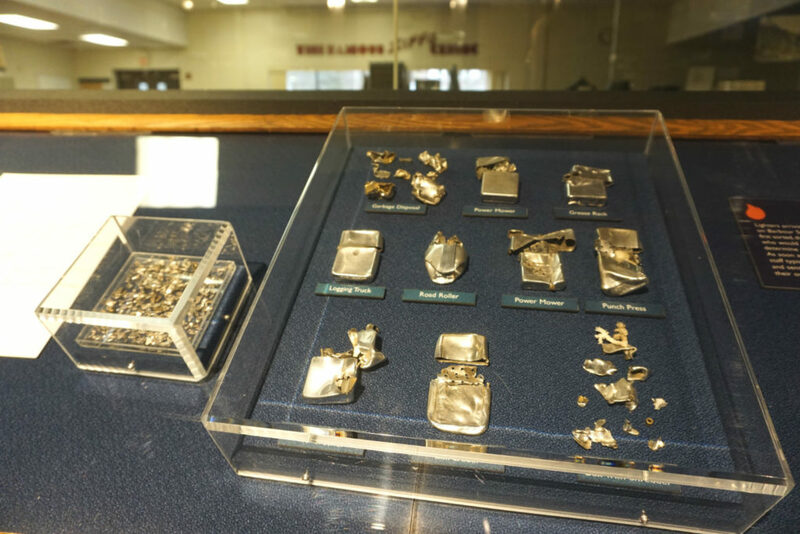 Historic Zippos are on permanent display alongside modern designs, and each tiny detail is featured in some way. One of Zippo’s most famous marketing tools, is that they will fix any Zippo you may find to be dysfunctional–for whatever reason. 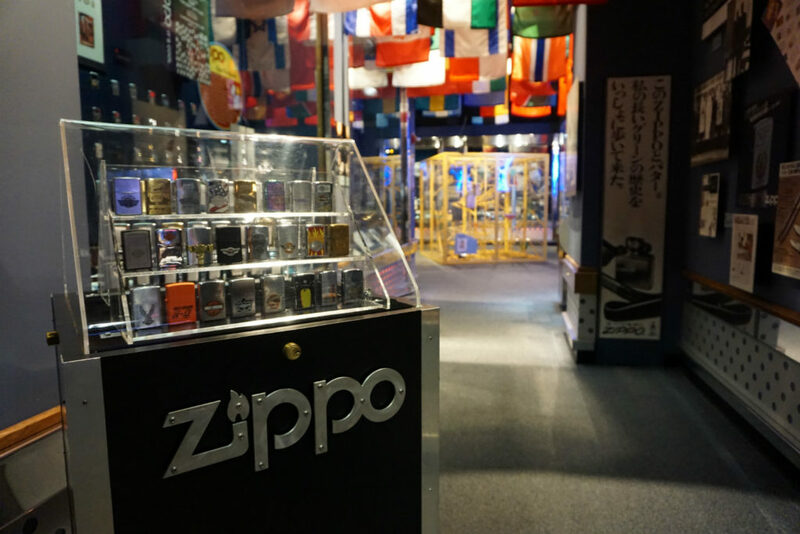 One portion of the museum is a windowed look in to the workshop where Zippo lighters from around the world are repaired. The Zippo company also happens to own Case knives–some of the most coveted cutlery for knife aficionados. The knife maker has been in Bradford, Pennsylvania since 1905, but was founded in 1889 about an hour north in Cattaraugus County. During the early years, four brothers sold various cutlery out of the back of horse drawn wagons that took them all over Western New York. As business expanded, so did the need for a more official brand. Much like Zippo, the Case brand played an important role in American war activity. The W.R. Case and Sons Cutlery Company began making military grade knives in World War I, outfitting troops with the M3 Fighting Knife and the V-42 Stiletto. The brands also share an important role in our country’s space program, as astronauts often carried both Zippos and Case knives made specially for them. 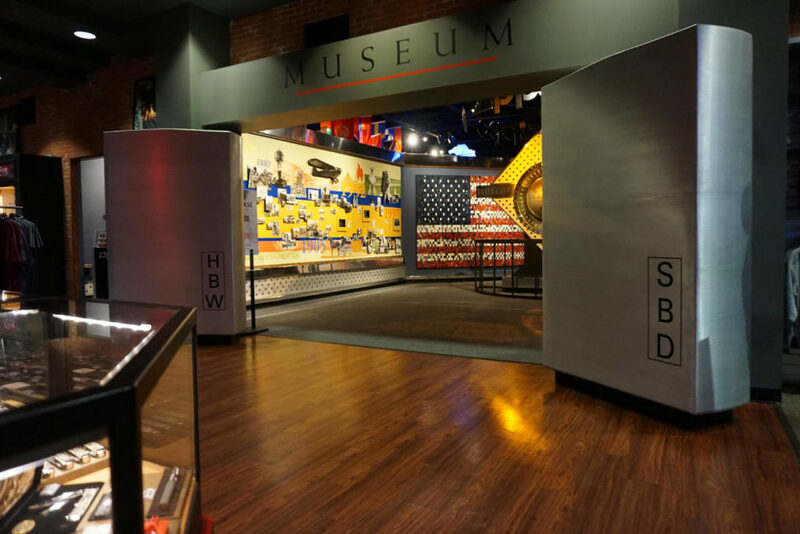 Walking through the 1,500 square foot museum space gives visitors a sense for just how truly American both brands are. With both Zippo and Case knives made entirely here in America, they each managed to become an important aspect of our culture and history. 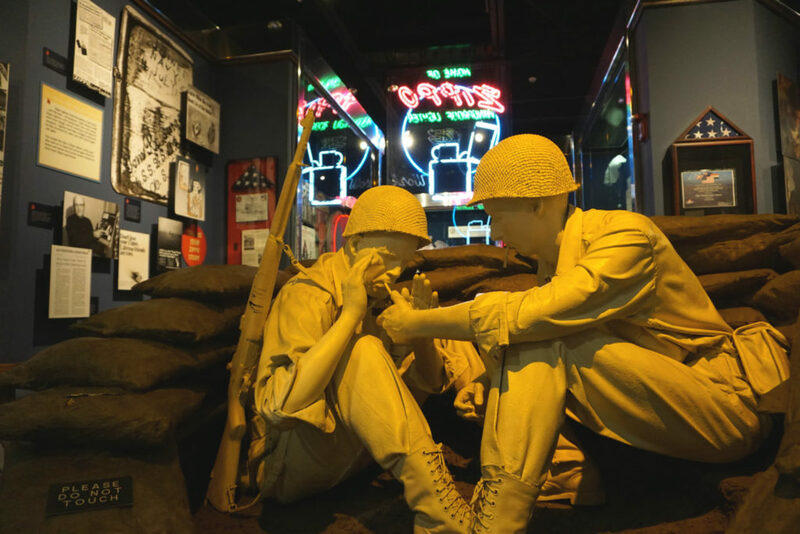 Displays depict various timelines in the lives of American military and how important Zippos were during that time. 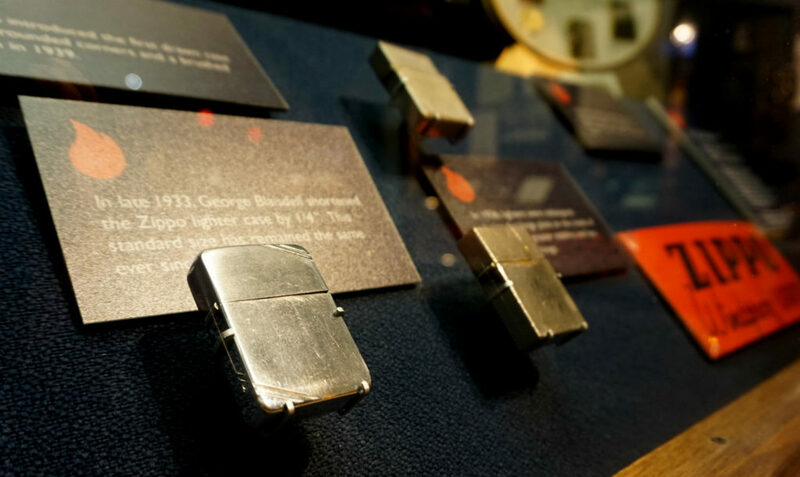 The educational aspect of the museum tells the story of Zippo, but there are many Zippos that tell the story of one person. There’s a Zippo that stopped a bullet and saved a man’s life. There are Zippos formed in to artwork. Some Zippos feature branded artwork representing other classic culture Americana. There is even a space dedicated to honoring the over 1,500 times Zippos have been featured in films and television. The Case knives section of the museum shows a timeline of production and the vast product line they’ve created over the years. 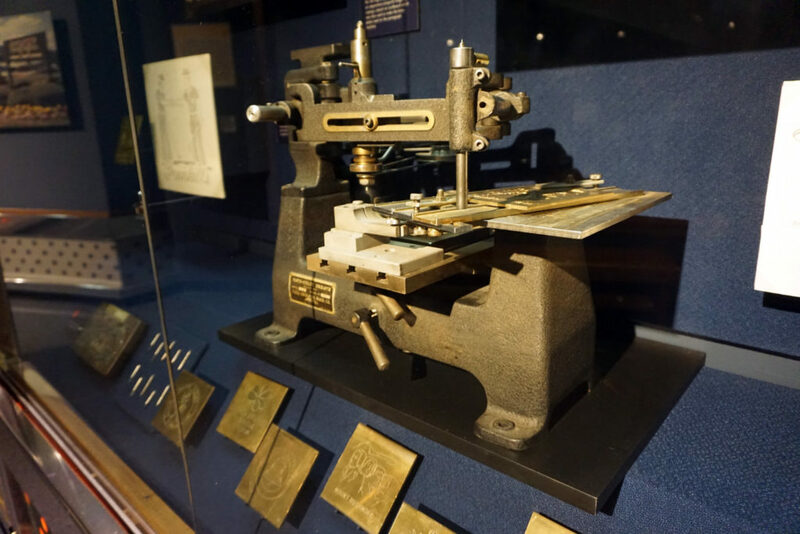 As the space is dedicated to telling the story of the brand, there are even artifacts from the sales days, like traveling saleman’s displays and a 7′ knife that once rode on top of a salesman’s car. 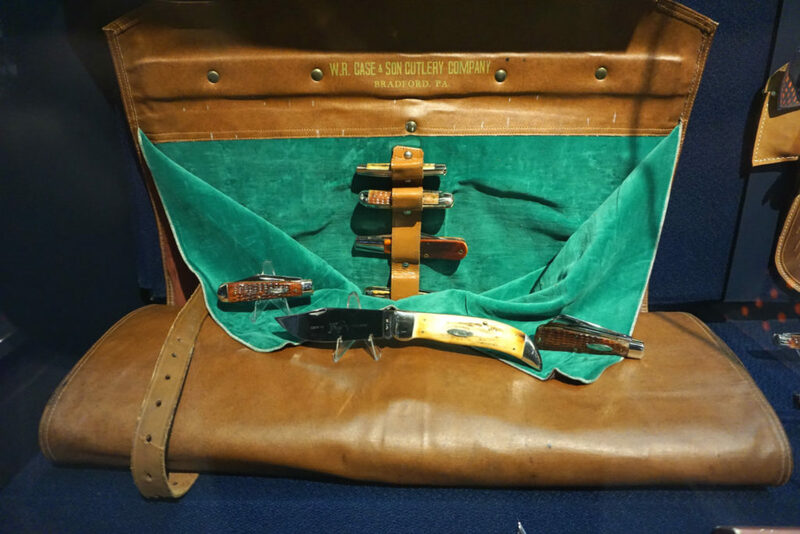 If you’re not a knife fan, you might be surprised that museum is a mecca of sorts for certain collectors. The Case knife collector’s club now numbers over 18,000 people worldwide, who have carried the tradition of collecting the brand since its inception. 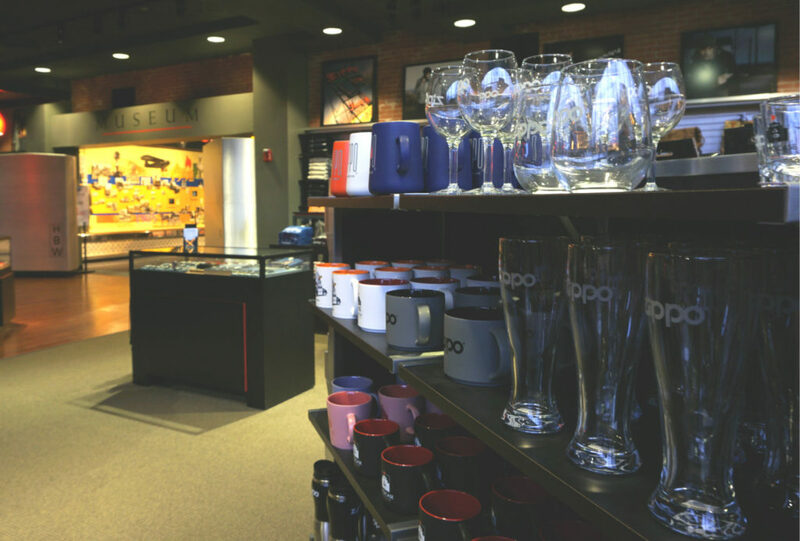 If you are a Case knife fan, you’ll be pleased to know that the museum features a gift shop featuring every style of knife made. The gift shop is split among the brands so you can grab a Case Slimlock on one side, and walk to the other to create your custom-designed Zippo lighter. If neither item is a souvenir you’d want to take home, they also have plenty of t-shirts, mugs, hats, and shot glasses. 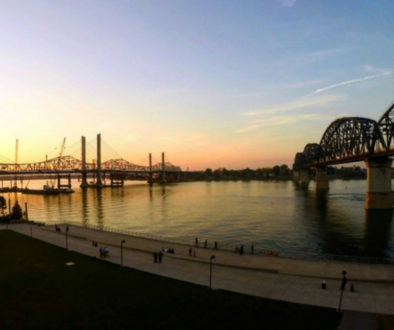 Though, of course, the best souvenir you could find is the memory of visiting a small museum dedicated to telling the story of two iconic American brands. Great story. Many years ago, who didn’t have a pack of Luckies and a Zippo lighter.